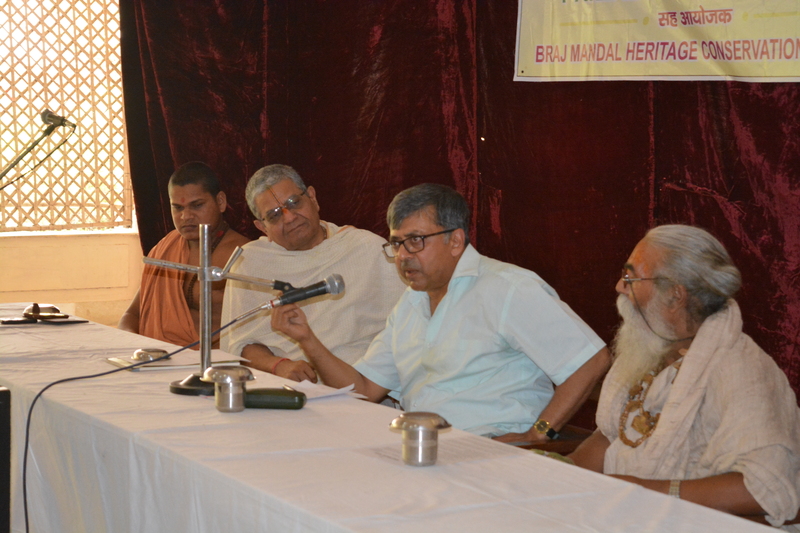 Vrindavan, May 23 2015: While the Brajwasis demanded to save the cow wealth of Vraja, the Divisional Commissioner, Shri Pradeep Bhatnagar promised to take all the necessary steps to protect the cows in the Mathura District by promoting the cow economy. A conference held on Saturday at Jai Singh Gheara, to save the cow wealth and promoting the cow economy. 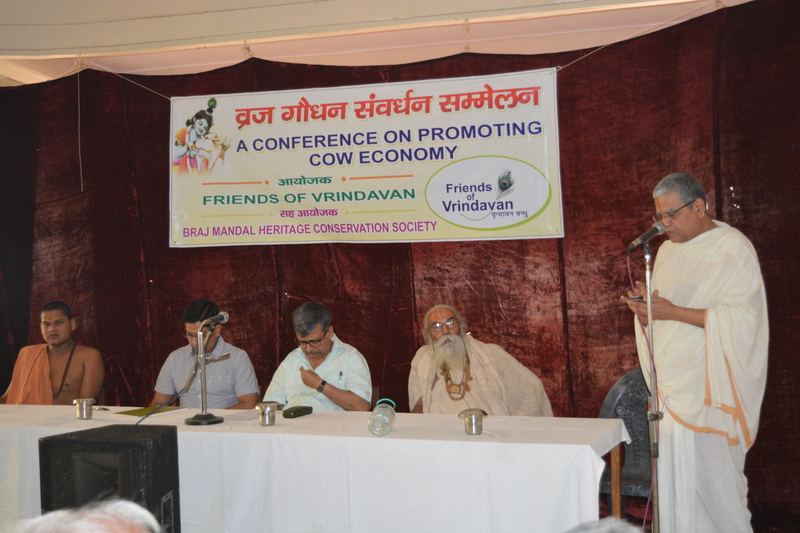 The conference was organized by Friends of Vrindavan in which many goshala owners, local brajwasis, environmentalists, farmers and activists participated. Many other speakers also addressed the conference to point out the problems which the cows and the goshalas are facing today. They emphasized on protecting the cows from being stolen in the night and making the goshalas self sustainable. Shri Bhatnagar felt that Vraja should be known for its cow economy. He said that the cow and their grazing pastures will not only be protected but urgent measures would also be taken to reclaim Yamuna flood plains for developing new grazing ground for the cattle. “We shall contact various agencies for the marketing of the cow products, which will boost the cow economy. 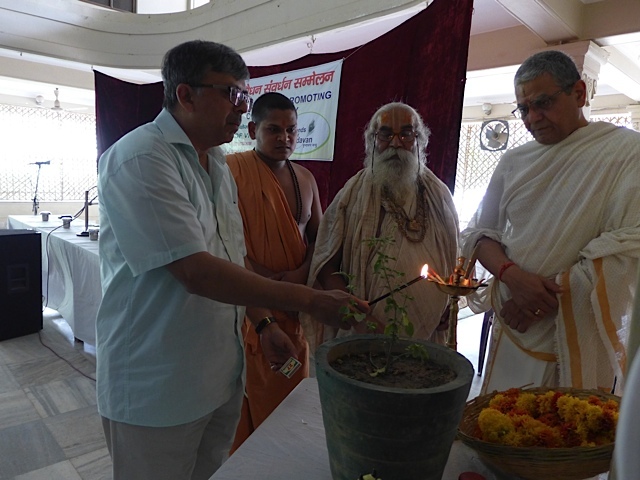 A committee would be shortly constituted comprising of the goshala owners, environmentalists and departmental heads to suggest measures and monitor steps taken to transform Mathura district as a model of sustainable based on cattle wealth and forest produce,” added Shri Bhatnagar. The commissioner was concerned about the excessive use of the chemical in the form of soil nutrients, insecticides and pesticides, which was affecting the fertility of the soil and causing serious health problems. 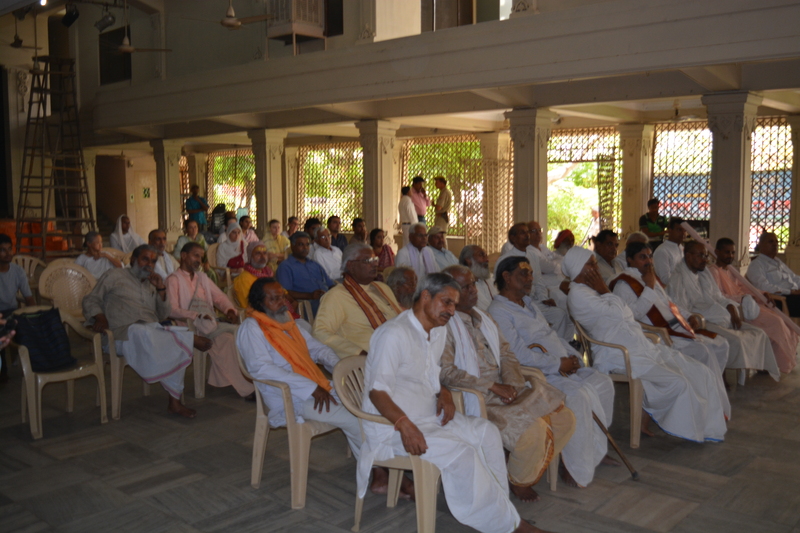 Shri Braj Khandelwal, Baba Ful Dol Bihari Das, Shravan Kumar, Swami Dev Swaroopananda, Bihari Lal Bashishtha, Acharya Naresh Narayan, Baba Jai Krishna Das, Jagannath Poddar, Dr. Suresh Dwivedi, Damodar Das Shashtri, Go Sevak Alok, Pradyumna Pratap Singh, Madhumangal Shukla, Ramesh Chandra Vidhishashtri, Nagri Das Baba, Shri Krishna Saras and many other addressed the conference.